Long Beach Comic Expo Here We Come (Put On The Hazmat Suits!)! 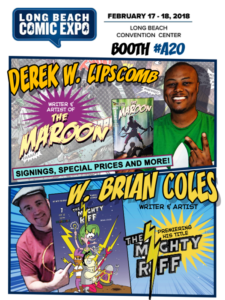 I’ll be at the Long Beach Comic Expo February 17th and 18th, 2018 along with fellow artist/creator Derek Lipscomb. 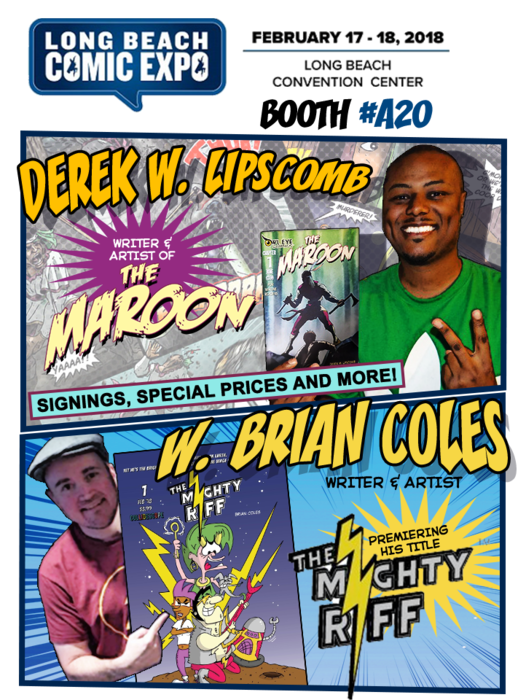 I’ll be promoting the launch of The Mighty Riff comic, providing autographs and up for a great convo with fellow geeks! The Maroon # 3 Now Available! 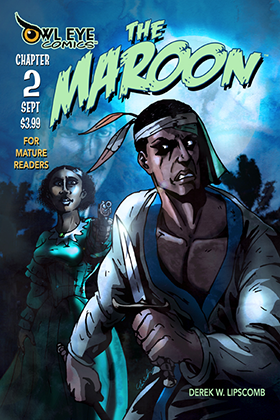 The Maroon #2 Now Available! The Maroon issues # 2 is NOW AVAILABLE! As always, grateful to assist with editing and story on Derek Lipscomb‘s fantastic mature reader indie comic! Click here to order digital or print version! Had a blast at the Long Beach Comic Con this weekend. I observed a fantastic panel of independent comic book artists who mostly self-published, and from the samples I saw, it is amazing work. 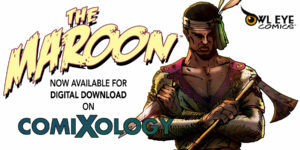 The Maroon Issue #1 Now on ComiXology for ONLY 99 Cents! Derek Lipscomb’s work is bold and amazing. Very fortunate to be credited as an editor and story consultant on this!